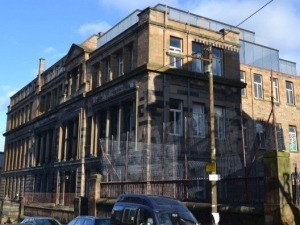 Refurbishment of old Hillhead Primary School, ‘B’ Listed at Cecil Street, Glasgow into 35 residential units. Services provided involved all systems associated with the mechanical and electrical lift installation. All units are heated by gas fired combination boilers and served from a central boosted water supply system to future proof against mains water pressure downgrading. All units provided with smart wiring to provide TV telephone and data services.